Other B4A v7.80 has been released! Discussion in 'Android Questions' started by Erel, Dec 20, 2017. I'm happy to release B4A v7.80. 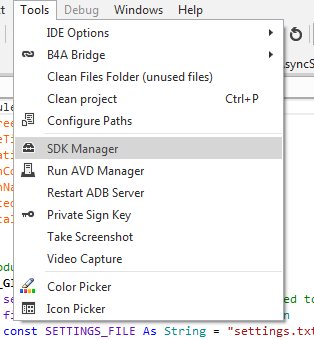 This is the largest update of the IDE since the release of the new IDE in v5.0. Modules are monitored for external changes. 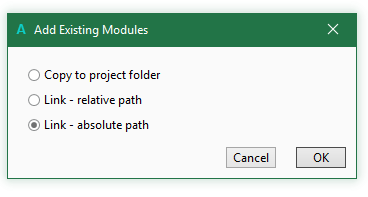 Modules, files and views can be renamed directly from the relevant tree. Full support for drag and dropping files and modules, including support for dragging multiple items. 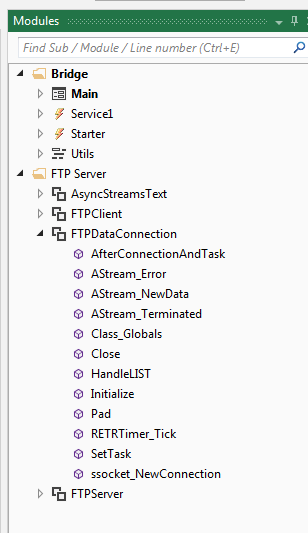 Copy to folder: Copies the module to the project folder (same as the current behavior). Link - relative path: Adds a link to the module with a relative path. Useful when the folder is under or close to the project folder. Link - absolute path: Adds a link to the module with an absolute path. Deleted files are moved to the recycle bin. Properties grid and views tree can be filtered. Support for downloading maven resources from Google online repositories. This is an important improvement as Google no longer updates the offline repositories. WebView.ZoomEnabled hides or shows the zoom controls. Better error handling in CallSub calls. Fix for potential race condition in AsyncStreams. Better handling of edge cases where the Activity life cycle events are called multiple times. Better support for version control. Files are only written when the contents are actually changed. The modules internal attributes are sorted in lexicographical order to reduce random changes. XUI library is now an internal library. Debugger hover window is resizable. Add New Modules / Existing modules menu items in modules tree. 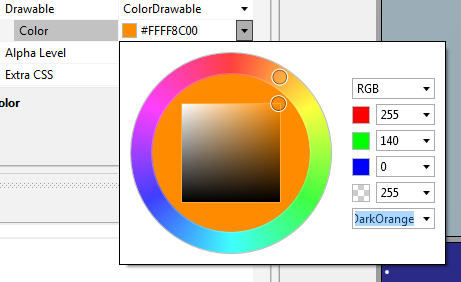 Code editor color picker is based on the designer color picker. 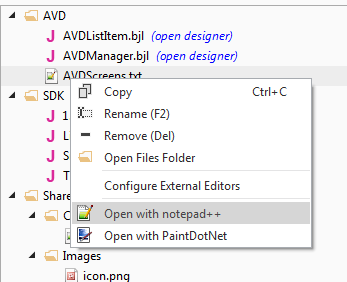 Open file with default program in Files tree. Also works with double click. Support for opening multiple files at once. Better handling of locked files. Manifest editor replacements are applied to resources created with CreateResource. An email with upgrade instructions will be sent to all developers who are eligible for a free upgrade. Other developers will receive an email with an upgrade offer. stingrae, janderkan, Multiverse app and 46 others like this. It will be soon updated. Thank you Erel, Upgrade is as usual with a near future email? Upgrade is as usual with a near future email? 7.8 is a great release ! just got this update and installed. i will play with this one soon. do you also update the IDE of B4J? Is there a discount for the update, similar to the one on Black Friday? Yes. You should soon receive an email. Contact support@basic4ppc.com if you didn't receive it in about 2 hours. tigrot and DonManfred like this. My Christmas gift, thank you erel. Just appreciate the new features! Thank you Erel! I received today, on my professional email address, the link to download 7.80 Version of the B4A. Unfortunately the mail system of my company forbids me to open this link. So I decided to change in my account this professional email addess by my personal address. Could re-send the loading link to my new address ?